A group of public environmental employees wants the director of the Forest Service’s Law Enforcement and Investigations program fired for “incompetence” and for leading a program “in a state of crisis.” The Forest Service so far does not appear to agree. The nonprofit Public Employees for Environmental Responsibility on Thursday went public with a letter signed by 52 veterans of the investigations program calling on Agriculture Secretary Tom Vilsack to “intervene to end a culture of negative leadership” by reassigning David Ferrell, the investigative program’s director. 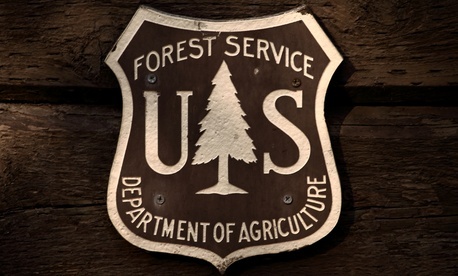 USDA is the Forest Service’s parent agency. Ferrell, a Job Corps veteran, supervises 650 officers in the enforcement and investigations program, according to a USDA profile. He has reportedly presided over a 15 percent budget cut in the past year. Ferrell himself is cited as the reason that many of the employees transferred or retired. Eighty percent of program employees told a survey team they had lost confidence and respect, the letter said. The PEER organization said the retirees addressed Vilsack after their demands were rejected by Forest Service chief Thomas Tidwell following an April 11 “all-hands meeting” on the problem.